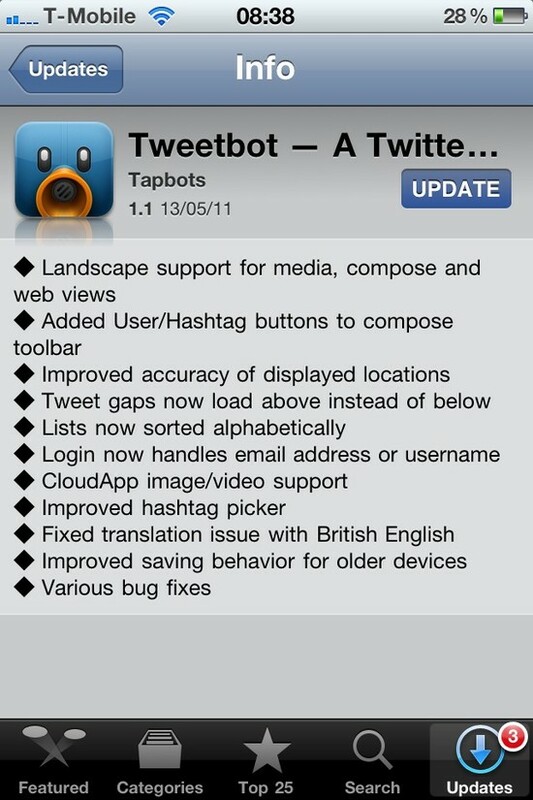 Tweetbot 1.1 update adds landscape viewing, CloudApp support and more..
Tapbots, makers of the stylish and incredibly popular Tweetbot Twitter application, has released a new update for its iOS app which now includes support for landscape media viewing, the ability to utilise your CloudApp account and a number of other minor fixes. One of the biggest frustrations with Tweetbot was that it would not allow users to orientate their device in landscape mode to compose and view tweets. The new update fixes this, introducing landscape support for media, compose and web views. Now, when a user is composing a tweet, they can add a user or hashtag with the addition of dedicated buttons the compose toolbar. The app now also has improved accuracy of displayed locations and user logins now support both usernames and email addresses. With CloudApp image and video support, users can utilise their CloudApp accounts that were limited to the Mac, keeping users in control over what content is shared. With additional bug fixes, the app seems to be getting gradually quicker, coming a long way from its debut release.